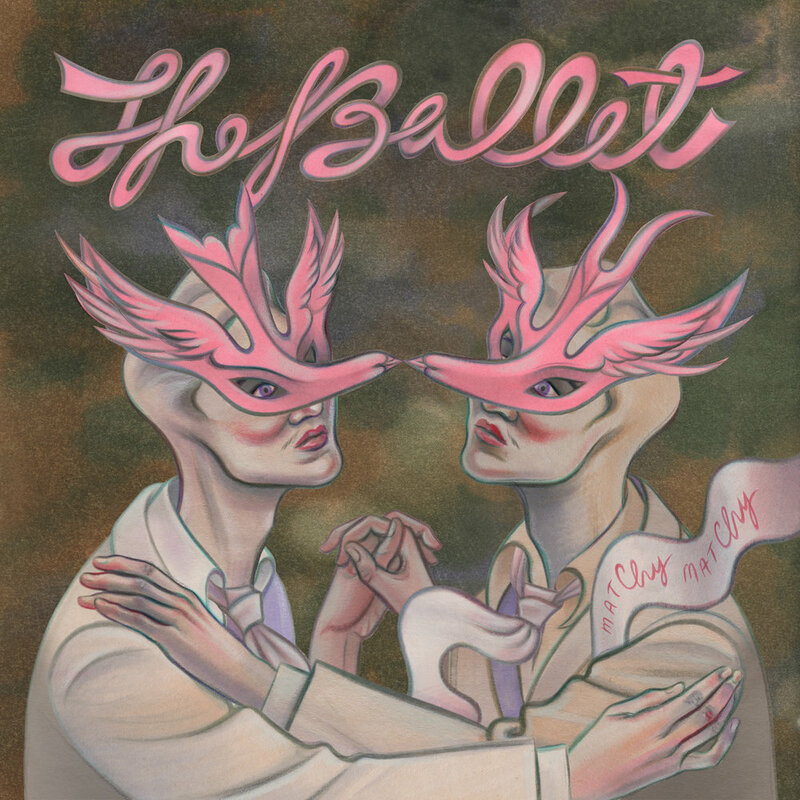 Queer New York duo the Ballet marry the DIY ethos of the Hidden Cameras with the wry poeticism of the Magnetic Fields and the romantic pop of Jens Lekman, to create literate, infectious pop gems. Formed in 2005 by Greg Goldberg and Craig Willse, the Ballet self-released two previous albums: Mattachine! (2006) and Bear Life (2009). These caught the attention of Fortuna Pop!, which released their third album, I Blame Society, in 2013. The Ballet has been joined by a few other musicians along the way including Ginger Brooks Takahashi and Michael O'Neill, who left in 2007 to join JD Sampson in MEN, as well as guest appearances on previous albums from Linton from The Aislers Set, Ramesh from Voxtrot, Scott Matthew, and Kaki King. 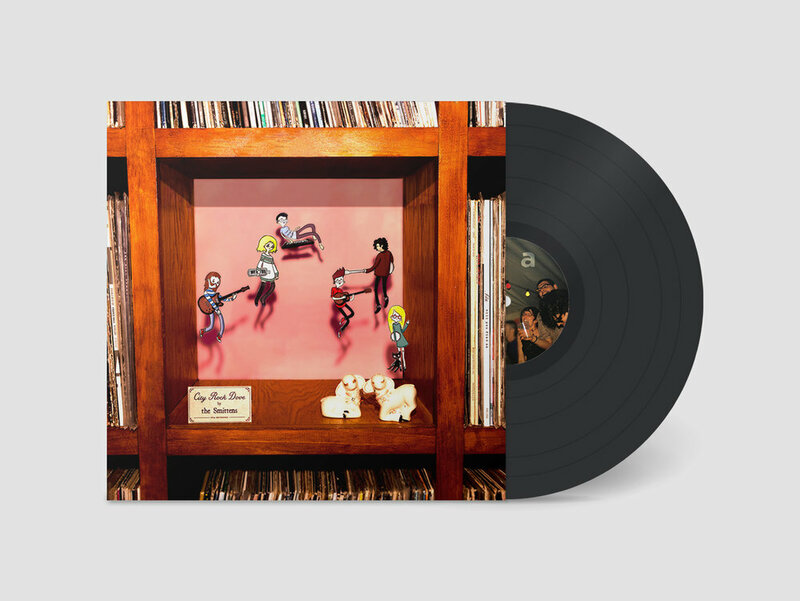 In addition to citing Stephin Merritt as an influence, Goldberg, who writes and home records all of the band’s songs, draws from an array of pop artists and periods, from 60’s bubblegum to 80’s synthpop and 90’s indiepop, fusing these in sophisticated and novel ways that reward repeat listening. The Ballet’s new album, Matchy Matchy, is a return to the upbeat tenor of the band’s first two albums. While inspired by Goldberg’s experience navigating an open relationship with his boyfriend of 14 years, Matchy Matchy is not straightforwardly autobiographical; Goldberg writes from his experience, while also fantasizing about the perspective of his objects of desire, leaving ambiguous which is which. He is generally less melancholic than on I Blame Society, and fans will notice a return to earlier themes (“Looking” tackles Grindr, as “Personal” did Gaydar in 2006). Goldberg is not shy to write songs with explicitly queer subjects (“But I’m a Top,” “Messing Around,” “First Time in a Gay Bar”), while also taking on more universal longings, pleasures, and frustrations (“Jersey,” “Love Letter,” “Cry Baby”). As the album’s title suggests, Matchy Matchy is also a meditation on sameness, both in its musical material (think limited chords in major keys, repeated phrases and constructions, and citations of Goldberg’s influences) and in its lyrical exploration of queer relationships and encounters. The album reclaims the insult of “matchy matchy,” finding value in repetition and doubling, both within the album and across the Ballet’s discography. 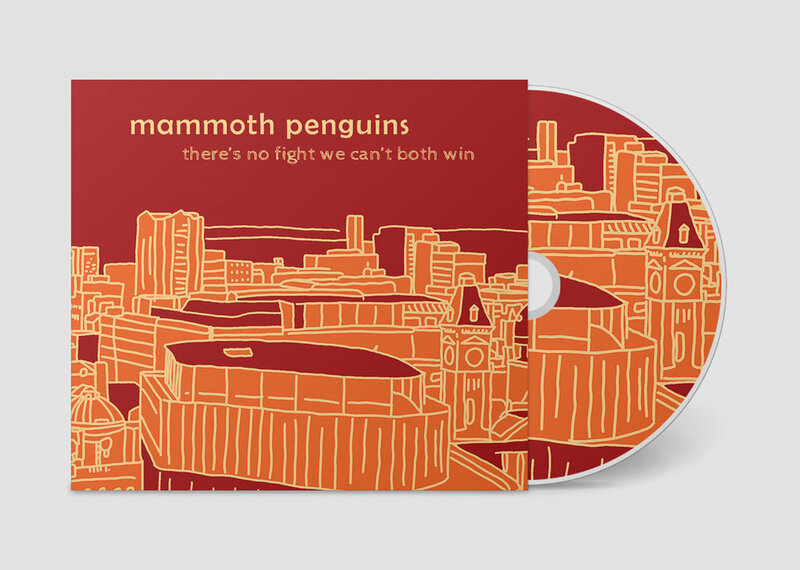 Following a sold out London show with Swearin’, Cambridge indie pop trio Mammoth Penguins are delighted to announce that they have signed to Fika Recordings and that their third album, There’s No Fight We Can’t Both Win, will be released on 26th April 2019. But Mammoth Penguins didn’t want to stop there. Their follow-up release John Doe in 2017 was an ambitious concept album, exploring the feelings of loss and anger at a man who fakes his own death, only to return years later. It featured contributions from Haiku Salut’s Sophie Barkerwood and Alto 45’s Joe Bear, and expanded well beyond the 3-piece rock‘n’roll template, with washes of strings, synths and samples (field recordings of butter being scraped on toast, photocopiers, and Ramsgate beach helping to fully immerse the listener in the world the band have created) filling out and developing Kupa’s songwriting. As with many songwriters, Kupa’s songs are derived mostly from her own personal experiences, thoughts, and feelings, be they long-lived or fleeting. “The times when people have said my lyrics resonate with them or articulate something specific for them are extremely validating for me and I hope that happens with this album,” she explains of the new record. This time around, classic themes of love, loss and conflict are (mostly) given a hopeful and optimistic spin that opposition is neither inevitable nor hopeless. For musical comparisons, think Land of Talk, and Philadelphia bands such as Swearin and Hop Along, but Kupa’s insight into the everyday and her ability to pen such relatable and honest missives means that, often, the best comparison for Mammoth Penguins’ music is with your own past. Naughty little folk-pop maestro We Show Up On Radar is indeed a person and Zanzibar Whip Coral is indeed his album. A body of songs expelled through his cloud-like body like a turbulent but fruitful gale. This mass of organised air is to be released on Fika Recordings in March 2019. Nottingham based multi instrumentalist, songwriter and producer Andy Wright - the man inside We Show up On Radar - has conjured up this 9 song popular melodrama using nothing but his own full sized Wurlitzer, complete with rotating platform and wearing his trademark sequinned suit. Zanzibar Whip Corals is the 4.15 from Waverly Station. The train seats are woven from spun sugar and the train driver is a pelican with secrets in his bill. The gentle breeze spilling through the windows is Andy's voice with a melancholy love story sung for all the weird and wonderful creatures giggling in the distance. His songwriting is tender, almost fragile but his songs are anthemic, bubbling with gentle power. This journey is one of sheer magic and terror, like a lovely nightmare where you wake up smiling. We Show Up On Radar’s songs are bewitching tales, scattered with references to vegetarian yeti’s, microscopic sea creatures and Greek Gods. It is music that is full of contradictions - childlike and sweet, but a bit wrong; terribly sad, but hopelessly uplifting. Wright invented libraries and then toured them…. We Show Up On Radar have also recorded on various occasions for the BBC at the legendary Maida Vale studios and Abbey Road. ("surreal, hushed acoustic folk-pop that's both downbeat and delirious" BBC Introducing). We Show Up On Radar have previously supported The National, Piney Gir, Thomas Truax and Bright Eyes at Nottingham's Rock City and dazzled with a headline show at Club Fandango at the Bull & Gate, London (“an astonishing treat” Artrocker). Lets all fly away on each other’s smiles. “This is alt-pop strangeness that would make Wayne Coyne feel like Dido (well, maybe not that strange). 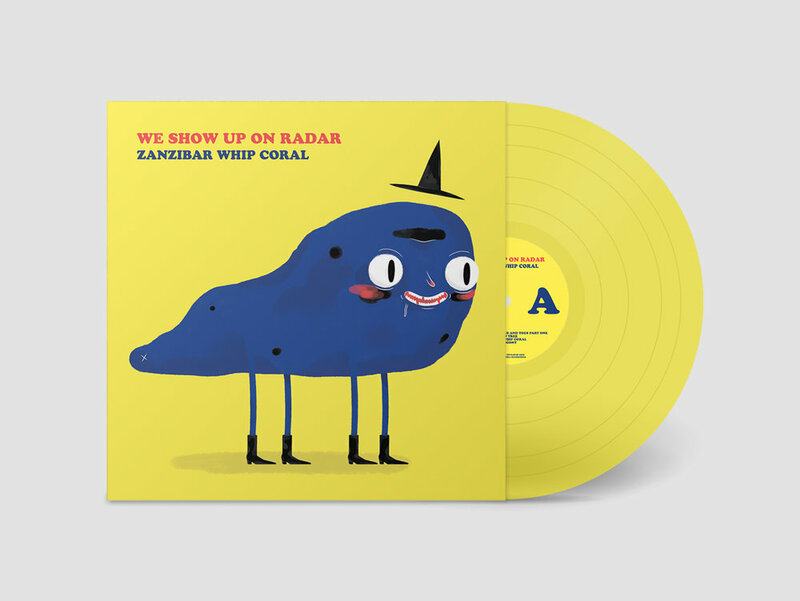 We Show Up On Radar is the alias of Andy Wright, a Nottingham-based artist, who is releasing his second album ‘Zanzibar Whip Coral’ through Fika Records. Before doing any research on WSUOR, I had assumed he was some Californian hippie but it turns out he’s from Nottingham which definitely plays into the English sounding melancholy that percolates into the music. There’s a quality to WSUOR’s voice that I really like, it almost reminds me of Gaz Coombs at his most lilting and whimsical. 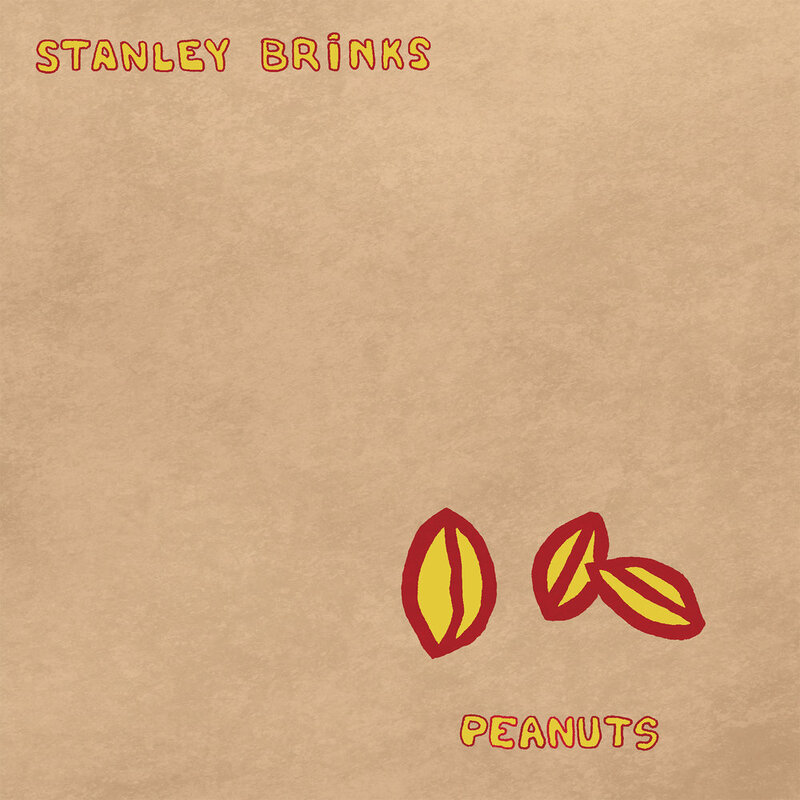 To put this odd little album in context, artists that it reminds me of are Mort Garson, Flaming Lips, the Beach Boys in some parts (just listen to the harmonies on ‘Willow Tree’), and Daniel Johnston. ‘Heads, Shoulders, Knees, and Toes (Part 2)’ has a tape-recording effect that makes him sound eerily like Johnston in one of his home-recordings, indeed, this is an element that I think WSUOR could make more of in upcoming releases. I prefer the album’s scratchy, lo-fi moments to its glossy, poppy parts. There are some genuinely heart-felt moments on this album that bely the often quaint music of ‘Zanzibar Whip Coral’, such as the huge, triumphant-yet-sad chord changes on ‘Giant Dinosaur vs Sea Monster’ or the beautiful sample on ‘Crumbs for Erin’. The piano line on ‘A Theogony’ reminds me of a Disney song or an old showtune which is an impressive thing to have achieved.